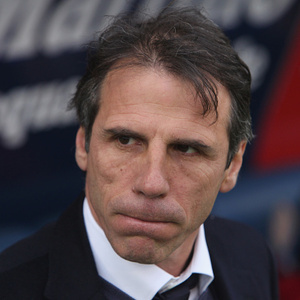 How much is Gianfranco Zola Worth? Gianfranco Zola Net Worth and salary: Gianfranco Zola is an Italian former footballer and manager who has a net worth of $36 million. Born July 5, 1966 in Oliena, Italy, Gianfranco Zola spent his first decade in the playing position of 'forward' in Italy, most notably with Napoli before moving to English side Chelsea where he was voted the Football Writers' Player of the Year in the 1996-97 season. Zola found himself being used as a substitute during the 1999-2000 season when manager Bianluca Vialli implemented his squad rotation system, but with the arrival of manager Claudio Ranieri during the 2000-2001 season, Zola benefitted from the change in management and went to become Chelsea's second highest appearance-maker that season (just behind Dennis Wise). At the end of the season he played in his third FA Cup Final when he replaced Hasselbaink during the second half of Chelsea's 2-0 defeat by Arsenal at the Millennium Stadium in Cardiff. Zola was voted Chelsea's greatest player ever in 2003. His managerial career began with West Ham United in 2008. He went on to become the manager of Watford in July of 2012, but resigned at the end of 2013. Today he manages Birmingham City.